While you brace for the next earthquake, know you are protected by a California earthquake insurance policy from Strong Tie Insurance. As a California resident, are you concerned about potential property damage caused by earthquakes? Strong Tie Insurance can help you prepare for potential risks by enrolling you in earthquake insurance. California is subject to thousands earthquakes each year. If you live in an area prone to seismic activity, you need to schedule an appointment with one of our agents today to discuss your California earthquake insurance options. Earthquake insurance is a type of property insurance that aids the policyholder if an earthquake causes damage to your property. While this includes damage done to your home, ordinarily home or renters insurance policies do not include coverage for earthquakes and other natural disasters. 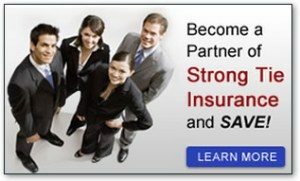 The helpful agents at Strong Tie Insurance will advise you one the best course of action while selecting your customized policy for earthquake insurance. California earthquake insurance rates will vary depending on your location. Arranging for a consultation will alleviate any questions you may have. Call Strong Tie Insurance today for more information about earthquake insurance in California!